Ã‚Tech Environmental prepared the Major CPA air permit application for the Russell Biomass project in western Massachusetts. The proposed facility would be a 50 megawatt (MW) woÂ­od chip fired power plant that would utilize either Advanced Stoker or Bubbling Fluidized Bed boiler technology with SCR and ESP or fabric filter controls. A novel aspect of the design involved the embedding of an oxidation catalyst within RSCR modules, a unique design to destroy organics and NOx. Tech Environmental prepared a IWC Ingenieur Replica Watches Â­submittal to the Massachusetts DEP that would approve the use of two combustion technologies, a largely unprecedented accomplishment. As part of the air permit application, Tech performed air dispersion modeling in complex terrain for criteria pollutants and hazardous air pollutants (HAPs). The modeling analysis also included evaluating cooling tower fogging & icing impacts on nearby roadways. Finally, Tech gave expert testimony before the Mass. Dept. of Telecommunications and Energy. 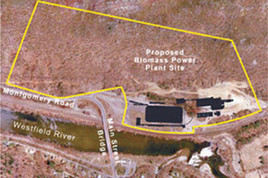 The Russell Biomass project proposed a power facility that would use advanced technologies to produce green power. Tech Environmental prepared a submittal to the Massachusetts DEP that would approve the use of two combustion technologies, a largely unprecedented accomplishment.